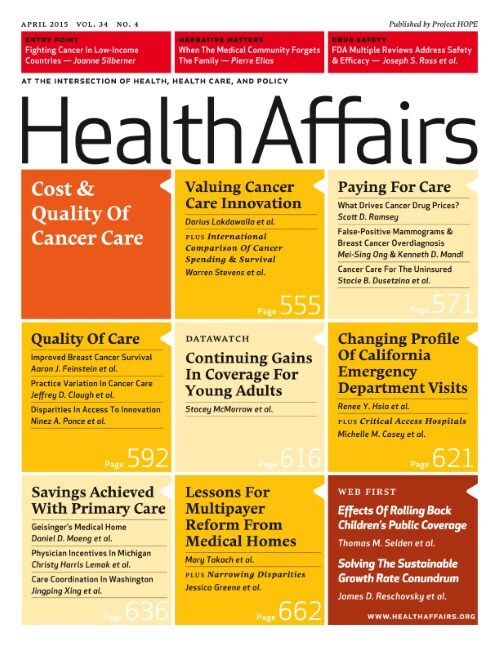 Health Affairs is the leading journal of health policy thought and research. The peer-reviewed journal was founded in 1981 under the aegis of Project HOPE, a nonprofit international health education organization. Health Affairs explores health policy issues of current concern in domestic and international spheres. Its mission is to serve as a high-level, nonpartisan forum to promote analysis and discussion on improving health and health care, and to address such issues as cost, quality, and access. Health Affairs publishes monthly issues in print, online, and on iPad. Regular Web First articles are posted online before they appear in the monthly issue.